HashByte utilises the newest of mining technology and renewable energy sources. Over the past few centuries, human activity and the development of technology have brought the planet into a rather deplorable state. The development of modern technology greatly simplifies our lives, but also brings a lot of harm to the environment. Of course, now there are quite a few enterprises that are aimed at helping and protecting our planet. Therefore, the future of our planet is very vague and has few prospects, and crypto-production is not very conducive to this goal right now, since the whole process consumes a huge amount of energy. The GreenHash project revolutionizes and removes the current problem of a mountain ecosystem based on fossil carbon / fossil fuels and contributes to the creation of the world’s first clean / renewable energy crypto-extraction ecosystem. Today, for the production of cryptocurrency requires a lot of energy. According to the materials studied, they now use more energy than Serbia, for example. However, this is not the limit, it is assumed that in 2019 more energy will be consumed than the United States of America, and then more than the whole world. Such a rapid rise stuns and represents a great danger to our climate, in which its effects are already obvious. HashByte Cloud-Mining was formed in 2015 as a means of providing green energy that saves the planet, as well as safe and secure investment funds for those who are interested in either starting work in the cryptocurrency space, or those who already work in this sphere some time. HashByte intends to stimulate the current situation in the development of cryptocurrency towards a green / renewable model, eliminating the need for electricity consumed by fossil fuels. GreenHash. The world’s first green / renewable energy miner. EcoChain. Modern energy efficient consensus algorithm. The main feature is that EcoChain will rely on energy-saving compliance algorithms. Instead of a GPU and CPU intensive work-proof architecture, EcoChain will rely on a different approach that is already pending for a patent application. The benefit is that this solution will require less energy to provide EcoChain approval. It can be controlled not only by a computer, but also by means of mobile devices that can manage the full EcoChain node. GASH. CASH production also uses a lot of energy. Here is the first GREEN and digital GASH. 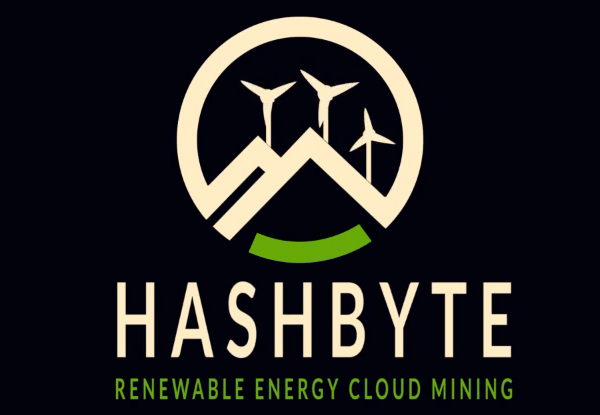 HashByte uses the latest mining technologies and renewable energy sources to provide low tariffs and low-cost contracts for the development of cloud deposits, and, therefore, a good profit for investors. HashByte is a renewable energy cryptographic company that includes a team of entrepreneurs, investors, cryptocurrency experts and climate change advocates. HSB Current is the main utility token for the HashByte and GreenHash ecosystems; HSB can be purchased during the TGE phase and will be available for purchase on crypto exchanges. The HSB token will be listed on the exchanges after the token generation event. HSB will be available for trade and purchase on large stock exchanges on December 20, 2018. Q2 2018 – Launched was one in every of the primary renewable energy cloud mining platforms. Q1 2019 – EcoChain Test-Net would be extended in hiding mode to the eco-developer​ community. Q4 2019 – GreenHash would be discharged on a restricted scale for testing. Q4 2015 – We fashioned a team of global climate change believers and cryptocurrency enthusiasts. Q3 2019 – EcoChain Main-Net launch. Gash cryptocurrency would even be discharged to the general public. Q1 2020 – GreenHash™ would finally be created accessible to the general public on an outsized scale.